Today I attended West Wycombe Park for the Dovecote Park charity clay pigeon shoot. Another fantastic day of simulated game for the 20 or so teams of 4 that shot over 5 stands with 80 birds being released on each stand. Some great shooting had by all and over £20,000 raised for The BDCI (Butchers’ and Drovers’ Charitable Institution) The charity exists to provide support for those who work, or have previously worked, in the meat industry but have fallen on hard times, regardless of their circumstances. Widows, dependants and children may also be eligible for assistance. For those that attended and are eager to see the images they will be online later this week. Please sign up to my Sporting Picture page to get an alert when the images are ready either by Facebook, Twitter or WordPress by clicking on the relevant application on the right. E J Churchill set a fabulous course and great entertainment was had with the exploding clays on the bolting rabbit and teal stand. 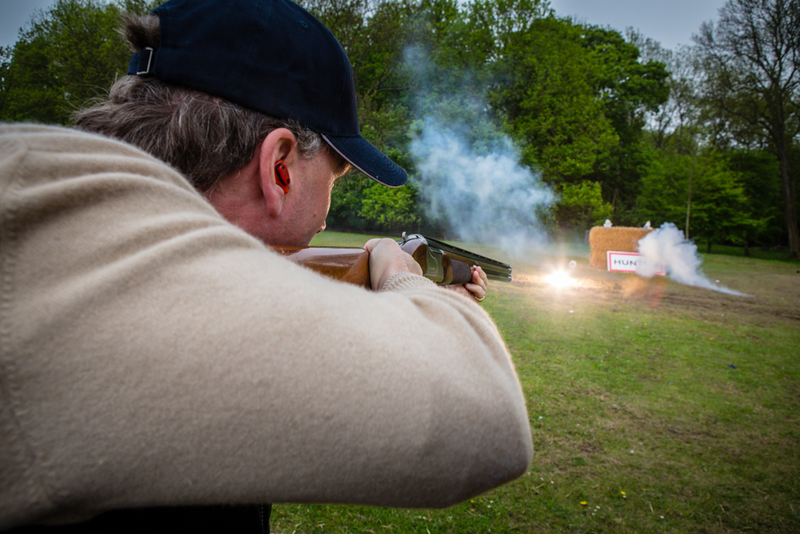 In the meantime here’s a great picture of Sir Edward Dashwood shooting a blazing bunny and Micky Rouse who entertained us today with their incredible shooting skills. Thanks to all the E J Churchill staff and competitors for making it such a fantastic day to photograph. 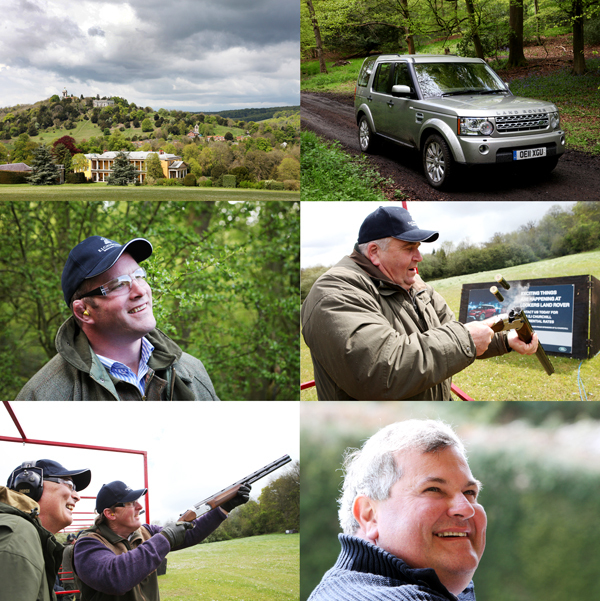 Earlier this week I photographed a charity clay pigeon shoot for The Prince’s Countryside Fund hosted by Sir Edward Dashwood at his West Wycombe home. E J Churchill put on a superb display of targets for the guests to shoot in the grounds of West Wycombe Estate. After a breakfast served in the hall the 9 teams had an eventful morning shooting in their teams of 4 guns over the various stands. England rugby star Phil Vickery, the new ambassador of The Prince’s Countryside Fund was there demonstrating his sharp shooting eye and support to the other guests and the PCF. With teams from various industries that support the PCF competing the final winners were Samworth Brothers and runners up Dovecote Park who had their awards presented to them by Sir Edward Dashwood, Phil Vickery and Managing Director of Waitrose, Mark Price. With other notable figures in the teams it really was a great fund raising event for the PCF and raising awareness to help rural communities across the UK. To find out more about the Prince’s Countryside Fund and to support the Great British countryside and it’s people please click here. 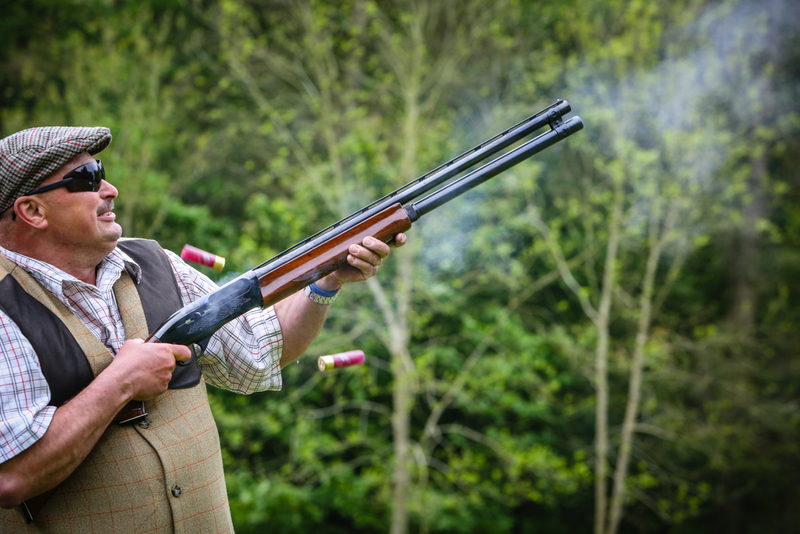 To all those that attended the brilliant day of clay pigeon shooting at West Wycombe Estate for the Prince’s Countryside Fund charity shoot the pictures will be online by the end of this week. Keep an eye out or follow me on Twitter @thesportingpic for an alert once they are online! Thank you.